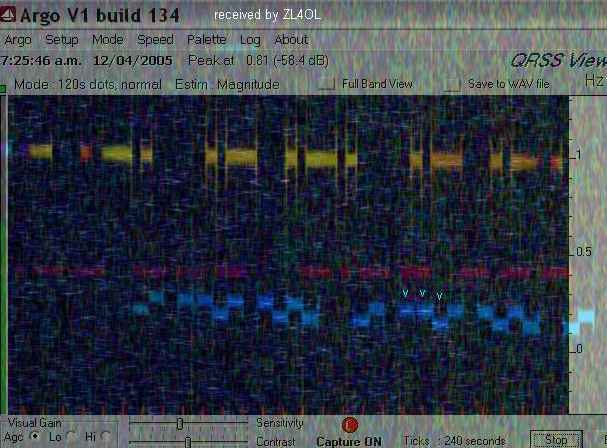 The coloured trace is DF6NM's grab of the G3AQC signal (in blue) overlaid onto ZL4OL's Argo picture. You can see the bright-ups from the ZL4OL trace exactly match G3AQC's signal (pointed out by the arrow-heads). Reception occurred at about 7:15am ZL time.